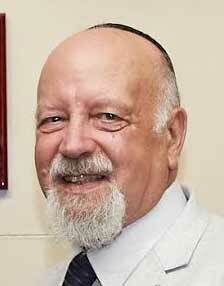 Rabbi Raymond Apple says a lottery ticket is OK, but…. Q. Is there any religious problem with Jews gambling? A. An occasional lottery ticket or card game is no problem, but the professional or compulsive gambler is severely frowned on in Jewish law. The Mishnah (Sanhedrin 3:3) disqualifies the dice-player – “m’sachek b’kuvya” – from being a witness in a Jewish court of law if “ein lo ummanut ella hu” – he has no other occupation. Such a person, it is said, makes no constructive contribution to society; he places his family’s stability in jeopardy and risks becoming a charge on the community; and if he habitually takes a gamble, he will take a gamble with the truth too and cannot be trusted. In his “Jewish Life in the Middle Ages”, Israel Abrahams describes the problems caused by gambling in the medieval period, and there is also an object lesson in the case of Leon de Modena, the 17th-century rabbi with a passion for card-playing and gambling who repeatedly tried to give up his addiction which left him penniless. This avoided some of the major questions of round matzot. When shaping the dough into rounds, the corners were cut off and sometimes gathered together, re-worked and used for further round sheets of matzah. Dealing with the corners took time, and this sometimes transgressed the strict rules about the time limits between mixing the flour and water and putting the sheets in the oven. With square matzot this problem was evaded or at least reduced. A MONTH OR A FORTNIGHT? Q. When does the pre-Pesach avoidance of eating matzah begin? A. Rabbi Moshe Feinstein discusses the issue in Ig’rot Moshe, Orach Chayyim 1:155. The generally accepted rule is to begin asking Pesach questions 30 days before the festival. But to make things easier, some said “from Rosh Chodesh Nisan”, i.e. two weeks before. The avoidance of eating matzah before the festival follows the lenient view. Note that not eating matzah in advance (except for Erev Pesach) is a custom, not a strict law. Moses Maimonadies, a medieval authority, called gambling theft which means that it violates two of the Ten Commandments … coveting and stealing. Since gambling has NO product and has NO service, this makes a lot of sense. It is wealth changing hands.